There are several offices blinds to choose from and based on our past experiences. Usually new companies will request their contractors to coordinate and install their office blinds for them thus they ain’t the one who make choices on what blinds they want and expected. As for old offices, they often contact the direct curtains supplier such as Singapore MTM Curtains to fabricate their desire office blinds. However usually they requested similar materials as compare to their old ones that they have been using for years. First and foremost, understand more on different kinds of blinds available in the Singapore market. The usage and weather conditions contribute a part on the durability for your office blinds. Understanding the usage and weather conditions plays also a big part thus this is what you might want to filter into your considerations. It is best for the professionals like us, Singapore MTM Curtains to meet up and discuss on the needs of your company. There are few types of office blinds. They are namely timber blinds, vertical blinds and roller blinds. All office blinds is fabricate to match all offices and commercial building. For instance, Roller Blinds gives off a neat and tidy look with easy maintenance. Hence it is ideal to installed at places that no one would want to roll up and down often because mainly usage is to block off heat and sunlight. This way it provides adequate comfortable work space to your fellow staffs. 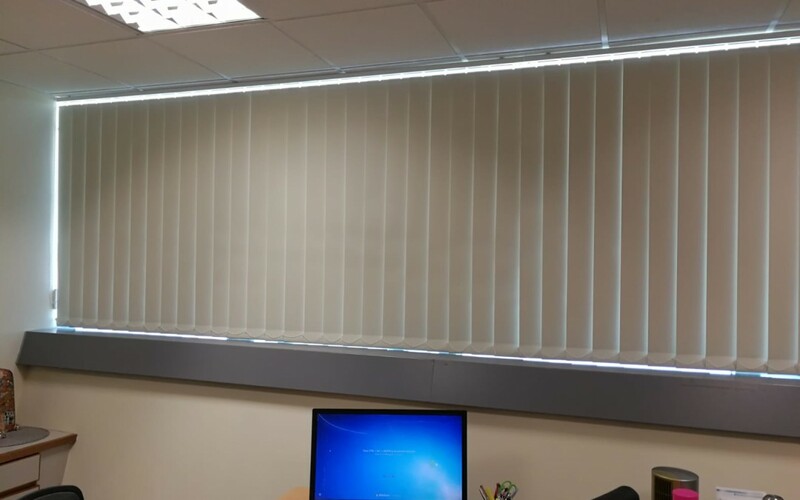 Office blinds includes Roller Blinds comes in different materials on fabrics, pvc black out or perforated. Colors wise needless to say, in many, many selections for all you need. Not only that, do you know we do customized the blind for you as well? For instance, printing your company logo or any corporate image you would like to print onto the roller blinds. The management rooms and meeting rooms usually installed the vertical office blinds. Because they would able to easily control the slabs to allow monitor work to the outside of the room area. Talking about Timber Blinds, it is almost similar to the Vertical Blinds except on the materials part and the horizontal slabs and vertical slabs differences. Timber Blinds allows air flow to circulate around the area with the controllable slabs. It also does the same as vertical blinds. Which provide monitor work when the slabs can be control easily at your convenience. In fact some of the offices required solar film or frosted film in their offices as well especially on the meeting or discussion room where you can design the glass panel in a way such that only the top part is being frosted while the bottom part people can clearly see that the room is being occupied. Often, Bamboo chicks can also serves as a office blinds. Recommendable for offices balcony or back door area where it can aids blocking certain wind and rain while it is also popular in retails shop houses or staff rest area. Bamboo chicks not only comes in the traditional brown colored but it also can be customized in Black and white colored providing a specific trendy chic image!